Are you ready? If you have never owned a home before, you know the frustration of paying all those rent dollars and not seeing any return on the money you’re paying. When you own a home your mortgage payment is not much different then your rent payment. When you own, you will enjoy the increase in equity in your home achieved by market increases in your property value, and as you make principal payments you will reduce and payoff your mortgage. One day you may be payment free. When you rent you will never have that opportunity. Few joys can match the pride of owning the roof over your head. Is your bank account ready? Your first home will be the biggest financial obligation you’ve ever faced. You should already be an experienced saver, and good at managing debt like student loans or credit cards. Ideally, you’ve also saved up some money for a nice down payment. Talk to your financial institution about the Home Buyers Plan too. Is now a good time to buy? Here’s the hottest market tip you’ll ever get.Markets go up, markets go down and even the smartest experts can’t accurately predict when a market will peak or bottom out. The good news is if you’re buying a home as a long-term investment (and for long-term enjoyment), you’re protected from short-term changes in the market. Over time, real estate has almost always increased in value. All you have to do is pick a home that meets the needs of you and your family. Then you will enjoy living in your investment as it grows in value. A home is one of the best financial decisions you can make, and it is tough to live in a stock portfolio! It’s probably the most expensive thing you’ll ever buy, and there are lots of expenses you might not even know about. Everybody’s total costs are different, most first time home owners have saved up for a down payment, but what ultimately determines the price that you can pay, is the amount of mortgage that you will qualify for. Our Income Calculator will help you easily estimate your maximum affordable mortgage payment of principal and interest. All you need to do is enter your monthly income and expense amounts and the calculator will do the rest. Once you have used the Income Calculator to estimate your maximum monthly total, you can compare this number to the mortgage payments for specific loan amounts. Simply enter your information into our Mortgage Calculator and your payments will be figured out for you. Lenders will analyze your income in relation to your projected cost of the home and outstanding debts. This is determined using two lending principals. Gross Debt (GDS) ratio calculation: your monthly housing cost should not exceed 32% of your gross monthly family income. Total Debt Service (TDS) ratio calculation: your monthly housing costs and payments on all of your other debts (including loans, credit cards and lease payments) should not exceed 40% of your gross monthly income. Decide where you want to live. Generally urban areas, such as large cities are more expensive to live in. The further away that you live from these centers the more affordable your home will be. You will also be able to purchase more home for your dollar. Are you a city dweller or a suburbanite? Do you like smaller cities and towns, or do you prefer a more rural setting all together? When you have decided what community you want to live in, narrow your search even further to the neighborhood you want to live in. This area may be close to shopping, a particular school, or a park. The neighborhood that you choose to live in will greatly affect the price of the property that you are buying. No matter where you decide to live a RE/MAX LifeStyles REALTOR® has the experience to help you decide your ultimate destination place. Deciding where you want to live depends on many factors. You may want to be closer to work, you may want to be closer to your friends and family. You may want to live in a quieter neighborhood. Choosing where you live is very important, at RE/MAX LifeStyles Realty our REALTORS® have valuable insight into the choices available to you. Decide your needs and wants. When deciding on the right home for you, it helps to make a list. Break your list into two columns “wants” and “needs”. If you have a family of five you may determine that you must-have “need” a minimum of 4 bedrooms and 3 bathrooms. Place these items on your needs column, these “needs” will become the items that you most likely will not compromise on. Items that you may “want” such as granite countertops, are items that you most likely will compromise on in order that your “needs” are met. Your strategy should be to find a home within your price range that fulfills all or most of your “needs”, and as many of your “wants” as possible. Do you know how Condos and town houses are owned? You’ll own 100% of your unit, and a share of the common areas. Common areas may include the necessary plumbing, electrical systems, hallways and elevators. They may also include lots of fun stuff like a private gym or party room. Strata fees or Condo fees will be on top of your mortgage and property taxes. The monthly fee you pay will be to operate and maintain the common areas. Be sure to look into condo fees, and how well they’re managed, before signing anything. Nothing can match the charm and character of an older home. As a bonus, the previous owner may have made improvements and upgrades and you get them with the house, usually for less than the cost of putting them in yourself. However, some may have a little too much ‘character’ like a leaky roof. Know what you’re getting into. You should always work with a knowledgeable REALTOR®, and never buy a resale home without a Home Inspection. You will be the very first person to live in your new home, or you may be in the process of having a home built for you. Before you commit to anything, carefully examine the property, the blueprints and visit other homes built by the same company. Have your REALTOR® and lawyer review everything before you sign. While your home is being built, stay on top of the process and remember, you have a legal right to make a full inspection of the house before you accept it as complete. Resale: Nothing can match the charm and character of an older home. As a bonus, the previous owner may have made improvements and upgrades and you get them with the house, usually for less than the cost of putting them in yourself. However, some may have a little too much ‘character’ like a leaky roof. Know what you’re getting into. You should always work with a knowledgable REALTOR®, and never buy a resale home without a Home Inspection. New: You will be the very first person to live in your new home, or you may be in the process of having a home built for you. Before you commit to anything, carefully examine the property, the blueprints and visit other homes built by the same company. Have your REALTOR® and lawyer review everyting before you sign. While your home is being built, stay on top of the process and remember, you have a legal right to make a full inspection of the house before you accept it as complete. 4. Find a REALTOR® who is Right for You. Reviews your list of wants and needs and helps you to determine your price range. Answer questions about the markets you’re interested in and helps you compare homes and neighborhoods. Use the local Multiple Listing Service® (MLS®). The MLS® is the single most powerful tool for buying and selling a home. Your REALTOR® will give you access to exclusive features of the MLS® system that the public is not privy to. 5. See what’s out there. Okay you decided where you want to live, and how much you can afford. You and your RE/MAX LifeStyles REALTOR® have made a list of your “wants” and “needs” for your Dream Home, you’re ready to start shopping! House hunting with your REALTOR®, hunting smarter House hunting can be a very daunting task. You want to make sure that the homes you look at are ones you can afford, and that have met your “needs” and “wants” list. Looking at homes that don’t meet your requirements, is not a valuable use of your time. Your RE/MAX LifeStyles REALTOR® will help you to stay focused, and ensure that you tour homes that will meet your list. When you have done your homework, you only need to visit a handful of homes to make an informed and wise selection. Stay objective when visiting potential homes Walking through a potential home is a thrill, but try not to lose your head. Don’t let a giant kitchen island or swanky hot tub distract you from your real goal, finding a home that meets all your needs and fits your budget. If you already own a home, you may need to sell it fore you buy another one, talk to your REALTOR®. Check out our 10 Steps to Selling Your Home. Stick with your RE/MAX LifeStyles REALTOR® One dream, one team. Your REALTOR® will become an expert on your specific needs and tastes. Scattering your time and energy amongst multiple REALTORS® will work against your goal of finding your best home. Sell and buy with the same REALTOR®? Absolutely! Especially if you’re remaining in the same community. Your REALTOR® is already an expert on your needs, so it can save you a lot of time and energy. 7. Add a Lawyer or Notary to Your Team. You probably have worked with a lawyer or notary in the past. A lawyer or notary will handle all of the documents for the purchase of your home. They will prepare a statement of adjustments which will include the price of the property, property tax adjustment, property purchase tax, amount of deposit and total mortgage proceeds. They will prepare a title search for the property that you are buying and inform you of any problems. When all is in order, they will register the purchase of your new property and any mortgage with the appropriate government agencies. A lawyer or notary works on your behalf to ensure that everything is handled correctly and promptly. You’ve found a home? Congratulations! Now, if you actually want to make it yours, you have to make a successful offer, one that the seller will accept. RE/MAX LifeStyles REALTORS® are master negotiators, and will work hard to help you get the best possible price and terms for your purchase. Buyer or Purchaser? That’s you. Seller or Vendor? The present owners. Purchase Price? The most important number. Let’s hope the seller goes for it! Deposit? A cheque you write to the seller’s broker, who deposits it in a trust account. This is your way of saying “my offer is serious.” The size of the deposit is up to you. Clauses particular to this agreement? Every transaction is unique, and your REALTOR® may add conditions important to you. Making your offer conditional upon a proper Home Inspection is a good idea. Chattels included and fixtures excluded? Be sure you know what is included with the house! The washer and dryer, the microwave, draperies, light fixtures. Don’t leave anything to ‘chance’ because chances are it won’t be there when you move in. Irrevocability of the offer? The length of time you give the seller to consider your offer. Usually less than 48 hours. Completion date? The glorious day you take possession! Often 30 or 60 days after signing. Upon acceptance of the offer you have just purchased your new home! Your REALTOR® will then ensure that the appropriate documentation is provided to your lawyer for the completion of your purchase. Counter offer: You are close to an agreement, but maybe the price is still not quire what they want, or the closing dates are not convenient, or the conditions of the offer are too stringent. A counter offer may go back and forth several times, before it is accepted or it completely lapses. At RE/MAX LifeStyles Realty we are an experienced team of negotiators who will act on your behalf to help you to achieve the best possible price for the purchase of your new home. When you’re looking for a new mortgage, keep in mind it is kind of like shopping. Not all financial institutions are the same. Some have very competitive interest rates, or may have very favorable terms such as early prepayments. If you have an established relationship with your bank you may want to talk to them first. Shop around, your bank may not be the most competitive. Call a mortgage broker Mortgage brokers are another great resource. They find low rates for a living, and they usually don’t get paid unless you sign a mortgage through them, so they’re highly motivated to get you the best deal. Most mortgage brokers are paid by the lending bank, it will cost you nothing to use their services. Your best mortgage might be the seller’s mortgage. You can sometimes take over or assume the seller’s mortgage. This is a great idea if the seller is locked into a lower interest rate than you can get right now. Mortgage term: Typically from six months to five years, the ‘term’ refers to how long the bank has agreed to lend you the money. At the end of the term, you usually renegotiate a new term. When deciding on the term consider the interest rate. Currently interest rates are very low, so a longer term is quite attractive. In times of increasing interest rates, long terms are best. In times of lowering interest rates, shorter terms are best. For many, a long term mortgage offers peace of mind in knowing that their mortgage payments will stay the same for several years. Amortization: The length of time it will take you to pay off the whole mortgage. Often as long as 3 5 years, if you don’t accelerate your payments. The longer your amortization, the lower your monthly payments, but the more you pay in interest over time. Interest rates: Interest is the cost of borrowing money, and the interest rate tells you exactly how much. Using this mortgage calculator, check the difference between borrowing $100,000 at 6% and at 9% at the same amortization. Surprising, no? That interest rate not only affects how much you pay, it also affects how much you can borrow. So remember to keep searching for the best rate! The RRSP home buyers’ plan If you’re a first-time homebuyer with money in an RRSP, you can withdraw up to $25,000 without paying any income tax on the initial withdrawal. If your spouse is also eligible, that’s $50,000. You will be required to repay this withdrawal over the next 15 years or take 1/15 of the withdrawal back into your income each year. For more information, talk to your REALTOR® or your accountant. ● Application fee: Some mortgage lenders charge a fee to process your application. ●The GST and new homes: Resale homes usually don’t involve GST, but new homes do. 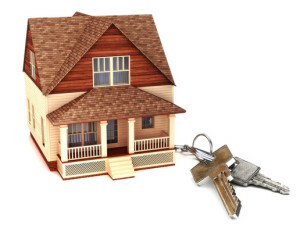 If you intend to live in your new home (instead of renting it out) there is some relief. Homes costing $350,000 or less get a 36% rebate. Homes over $450,000 Do not qualify for this rebate. 10. Find a home inspector. Your offer to buy may be conditional upon a satisfactory home inspection. This is an increasingly standard condition on any resale home. If the seller doesn’t want you closely examining the home before you take possession, you have to wonder why. Go with a qualified professional. Make sure your inspector is a member of a provincial association of home inspectors. It’s your guarantee they have the training and experience for the job. What will they check during the inspection? Lots of stuff. Plumbing and electrical systems, the roof, visible insulation, walls, ceilings, floors, windows and the integrity of the foundation. They check for nasty stuff like lead paint, asbestos, mould, outdated and dangerous wiring, and they’ll look for evidence of pests like mice or termites. A good inspector should make you feel like you’re watching a CSI detective. Join the inspection. There’s no better way to get familiar with your new home than being part of this checkup. If any problems are detected, you’ll see them firsthand, and you’ll also learn some maintenance tips from a genuine pro. You’ll get it in writing. Their report will summarize the condition of the home. If there’s anything that needs work, the home inspector will provide an estimated cost for the repairs. Home inspection for a new home? New does not equal perfect, and construction quality can vary greatly from builder to builder. Repairs and corrections will probably be covered by a provincial new home warranty program, so bad news doesn’t necessarily mean it will cost you. Have your lawyer begin searching title to the property. The big day arrives – Deliriously happy and emotionally exhausted, here you are on closing day. You made it! Your RE/MAX LifeStyles REALTOR® is handing you the keys to your new home!! “Closing date” often means moving date. Unless you have major repairs or renovations planned, you probably want to move in the day you take possession. If you intend to move at the end of the month, contact a moving company or truck rental company now. Most people move during this time and there aren’t trucks and movers for everybody. If you can move mid-week or mid-month, a moving company might cut you a deal. Do you really need to take that with you? A new home is a new lease on life, and a chance to liberate yourself from stuff you simply don’t need. If you haven’t used it or worn it in the last year, you don’t need it. Have a garage sale, or give it to Goodwill or another local charity. You won’t have to pack and unpack it, and it will become someone else’s treasure. Congratulations! You have moved into your new home, (with a little help from us)! You have completed one of the most stressful tasks that you may experience in your lifetime. At RE/MAX LifeStyles Realty your REALTOR® is part of a team of experienced negotiators that will help you get through this exciting, challenging time. We will walk you through each step of the process, and explain to you fully any questions or concerns you may have.